TobyMac needs no introduction. No, seriously, he doesn’t. And if you don’t know who TobyMac is…well I guess you need an education lesson then. Let’s see his previous credentials. 1/3rd of DC Talk (quite possibly one of the biggest bands of the 1990s, period! ), as well as being a solo artist releasing countless songs and albums that have charted success throughout the years and in both Christian and mainstream charts, alongside being the CEO of Gotee Records (housing artists like Ryan Stevenson, Hollyn, Aaron Cole and Finding Favour currently, and previously artists like Jamie Grace, Morgan Harper Nichols, Capital Kings, Relient K, John Reuben and The Katinas to name a few). A 7 time Grammy Award winner, Toby has just released his new song ‘i just need u.’, his first new material since quite possibly his most successful album to date, This is Not a Test. In fact, Toby’s 2015 album is one of my favourites of his, ever, delivering hits like the title track, ‘Love Broke Thru’, ‘Beyond Me’, ‘Feel It’, ‘Move’, ‘Light Shine Bright’, ‘Til the Day I Die’ and ‘Love Feels Like’, among others. So to see Toby release something new this past Friday, I was eager to check out his new single ‘i just need u.’ Collaborating again with long-time song-writing partner Bryan Fowler on the song as well as Finding Favour frontman Blake Nee-Smith, we can see that this new song from Toby is as much catchy and relevant in a music industry where pop is the new ‘in’ thing, as the song is also honest, hopeful, raw and emotive, possibly being one of the most culturally relevant TobyMac song’s I’ve heard ever since ‘Speak Life’ way back in 2012! Standing at a radio friendly ‘3 minutes 45 seconds’ and titled ‘i just need u.’, you can be forgiven to think that Toby has just released something that is just ‘run of the mill’, a song that has been done before, because frankly, when you look at history, and hear songs like ‘If We’ve Ever Needed You’ (Casting Crowns), ‘Need You Now’ (Plumb), ‘I Need You to Love Me’ (BarlowGirl), ‘I Need You’ (Jars of Clay), ‘Lord I Need You’ (Matt Maher) and ‘I Need You God’ (Consumed By Fire), and then you are confronted with a song like this from Toby, you can be forgiven to think that Toby is flogging to death a theme that has been done so many times before. We may be forgiven to also think that this time may be just the time where the song lacks the significance it needs for it to be the first single from an upcoming album. Yet Toby’s new track is anything but monotonous. It is fun, engaging, emotive and heartfelt, even though it is indeed about a theme that yes, has been unveiled to listeners before through many different artists and in many different musical styles. What Toby brings to us is something new and fresh- that a guy in his mid-50s can be relevant both musically and in the message that the song is bringing, is indeed an art. This acclaimed artist, one third of DC Talk, unveils a track that is taking the charts by storm, though only a week or so after the release of it. ‘i just need u.’ went into the top pop songs on iTunes within the first few days, as we’re reminded of the calibre of Toby’s songs throughout the years, with this new one being no different. 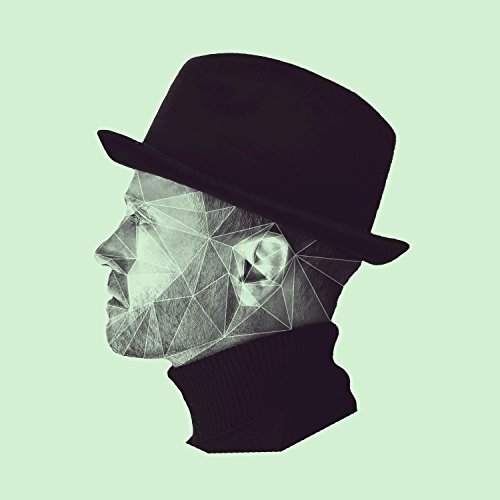 Like ‘Beyond Me’ before this song and ‘Me Without You’ before that, there’s always an anticipation whenever a first radio single from TobyMac drops from a forthcoming album. ‘i just need u’ is the first single from Toby’s new album releasing at an undisclosed date later this year. Was it worth the hype? Yes! Did it disappoint? No way! While the song title may be a little bit unoriginal, the song is anything but. Most, if not all of Toby’s radio singles in the past have been ground-breaking and life affirming (take a look at the list of radio singles from Toby’s career on Wikipedia and you see what I mean!). How he manages to do this year after year is only of God, and thus, we see a man who has been able to create and produce, deliver and craft, song after song with such potential and impact, that it’s almost an assumption to declare that this new song will impact far, maybe even farther than many songs of the past. The song itself speaks about the need to always need our Father and creator, even during the moments when we believe we don’t need Him because everything is going great, and especially during the times when we really do need Him, when things aren’t looking so bright. The style of the song itself is more of a pop-hip hop fusion, a hybrid that only TobyMac has created and given life to over the last decade or so. No other artist in my opinion can easily travel between pop, rap and hip hop so easily (maybe perhaps Group 1 Crew) within the CCM industry, and thus, Toby and his music is very unique to a Christian music industry that is sadly one where sameness and familiarity are championed over edginess and out-of-the-box songwriting. ‘i just need u.’ is a daily reminder of how much we need our Father, because sometimes, life is just tough. As we hear the song on rotation on the radio, we as listeners and fans of TobyMac alike can sing along…then again, if we’ve heard the song on repeat for around a week now, we can sing along with the track even now! The song isn’t really a pop anthem or even a worship track. Nor is it full-on hip hop either. It is rather more of a soul-hip-hop/blues-pop melody where Toby instils the need for the Father within the 3:45 track length. It is different from most of Toby’s catalogue of the past, and that is ok. And thus, these are my own thoughts on this new song from Toby. Will the new album be as unique as this song? Only time will tell. And maybe, just maybe, Toby will continue the theme of this song to encapsulate what I reckon his new album will bring to the fore as well- that we are in desperate need of the Father in all circumstances we are in, whether we know it or not! Kudos to Toby for such a powerful melody. Can’t wait to the full length album later on during the year!